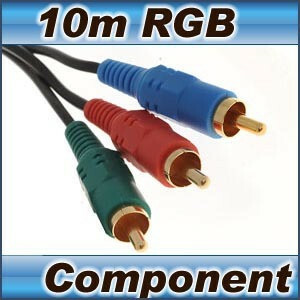 Great Value Gold Plated Component Video / RGB Cable. With high quality moulded plugs and pure OFC Copper to deliver the best picture signal. Application: Commonly used to connect DVD, Set Top Box, Amplifier, HDTV, Projector, Plasma etc. WHATS THE DIFFERENCE BETWEEN COMPONENT VIDEO & RGB? 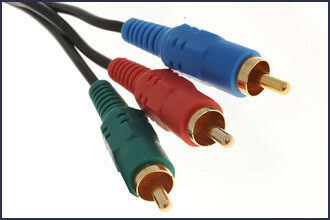 You may have heard two terms used for these cables either RGB Cables or Component Video Cables. This cable can be used for either. If this cable does not work with your component video (RGB) connection, we will give you a 110% refund. This cable is also available in other lengths in the Component Video Cables section of our store.